Nose: Aromas of summer fruits, peach, fig, apricot, as well as hints of lime peel, and green tea. Palate: Flavors of buttered honey, citrus fruits, and apricots. Finish is lengthy, fresh, and bright. 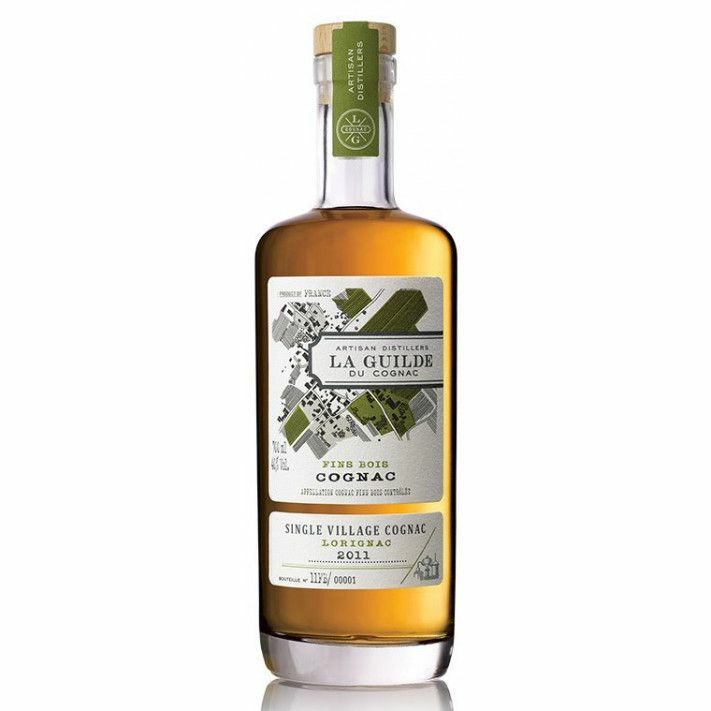 The La Guilde Lorignac Fins Bois 2011 Cognac is a real testimony to how the terroir places its stamp on the eaux-de-vie produced there. Lorignac is a village found in the Fins Bois growth region, near the estuary of the Gironde river. This unique location creates Cognacs that are fresh and mineral-rich - ideal for those who enjoy a fresh and flavorsome taste. What makes this Cognac so unique is that the year of 2011 was infamous for its high temperatures. This led to an early harvest, and one that was extremely favorable for bringing out the summer fruit bouquet. The village of Lorignac has long had its roots in the wine and Cognac industry. The name comes from the latin, "Villa de Bacchus". If you're looking for a Cognac that's both delicious AND a talking point, then your search has come to a fruitful end. I tasted this some weeks ago at a tasting in Amsterdam, totally fell in love.. and now I realize how cheap it is compared to other french brandy. We don't have it here in the Netherlands but I just bought it here, fortunately it's available.